If you read our blog you may know it: 3D printing for construction is becoming a real thing. We saw in a previous blogpost a selection of the most impressive 3D printed houses, but new things happened since then. We have learned just recently that a French family moved in a 3D printed house. It is actually the first family to move in a 3D printed home. It is clearly the proof that additive manufacturing can build real houses and become a viable construction method. In this blog post, we are going to give you more details about this first habitable 3D printed home. We will see what are the recent news in housing 3D printing, as new projects are unveiled quite often. Living in a 3D printed house: How is it possible? The Ramdanis are the first-family ever to move in a home built using the 3D printing technology. It is a 1022 square feet house, fully habitable, and it took about two days to print it. This house has four bedrooms, for the couple and their three children. 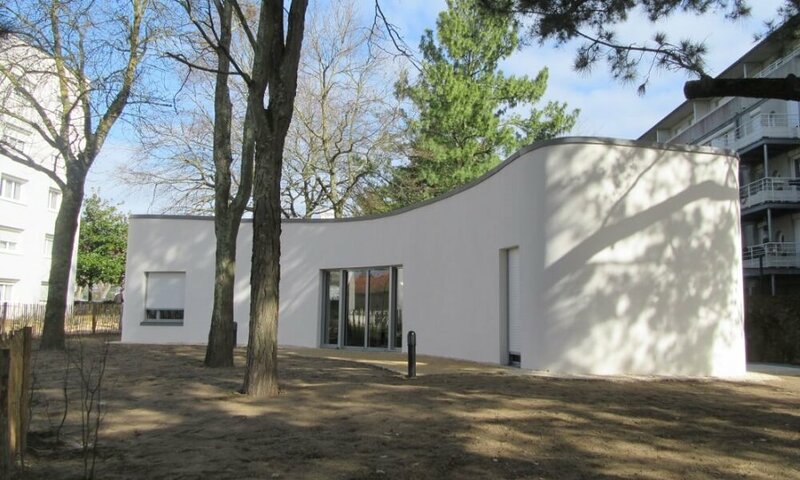 This 3D printed house is located in France, and more precisely in the city of Nantes. This home is part of the Ynhova project, aiming to build affordable and eco-friendly houses in Nantes. The project is led by the University of Nantes (IUT) and has been printed by the company BatiPrint3D. It could be a real revolution for social housing. This home has been printed quite fast, but it has also been printed for a lower cost. The construction costs for this house are around 176,000 euros. It is approximately 20% less than a house built using traditional construction methods. The costs and time savings are quite impressive for an actually habitable house. This house project is the result of a collaboration between architects, scientists, manufacturers and socio-economical actors, and it is a real success. 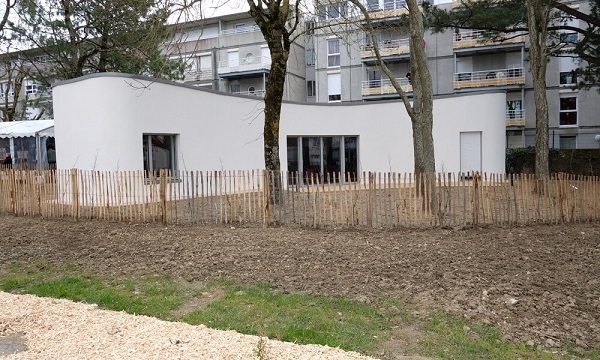 Other 3D printed houses will be created in Nantes, thanks to this Ynhova project. Additive manufacturing is clearly helping the construction sector. Indeed, XL 3D printing is becoming more and more advanced and allowing to print at an architectural scale. The development of new 3D printing technologies and new 3D printers such as concrete 3D printers is making it possible to innovate and make these impressive projects become a reality. Concrete homes built using the 3D printing technology are now a game-changer. Additive manufacturing is really seen as a new way to create affordable housing. This new construction method can be used for social housing, but also to face housing shortage in developing countries. But this technology actually offers possibilities for a large variety of architectural projects and buildings. Indeed, for architects, it is possible to use 3D printing to create new shapes and designs. Architectural structures can be printed onsite in one part, or offsite and then assembled. Additive manufacturing is definitively according more freedom to the construction sector. 3D printing can be seen as an eco-friendly manufacturing technique. For example, while printing, you only have to use the amount of material that you need for your project, it avoids waste. Moreover, some recycled materials are now developed. The construction sector is trying to become more eco-friendly, and we can clearly see that the new housing projects like this one are created with an ambitious sustainable vision. What’s new for 3D printed architecture? Just like the Randamis family you could soon live in an amazing 3D printed house. There is a real interest for this technology in the construction industry. We already saw a great number of 3D printed houses projects and the perspectives that it was offering to the construction sector. We already talked about, the fully 3D printed home manufactured in Russia by Apis Cor, and the ten homes built by Decoration Design Engineering in just one day thanks to a kind of concrete printer. But new projects are unveiled almost every months now, and the 3D printed housing projects multiply and spread all around the world. Let’s talk quickly about three interesting and recent 3D printing housing projects. 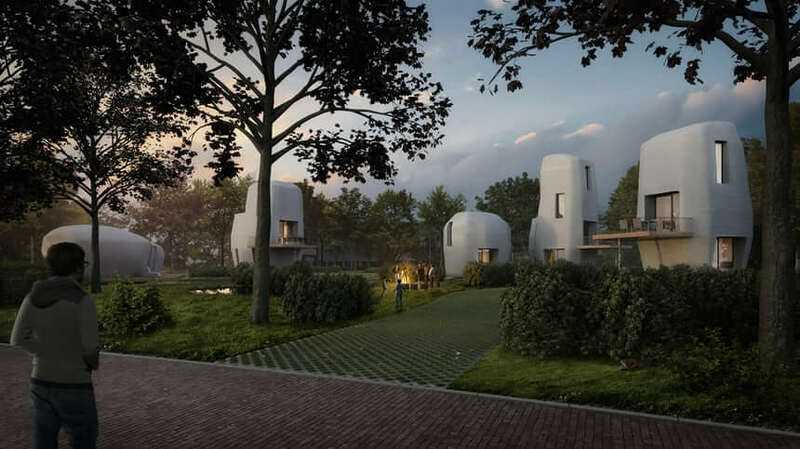 The Dutch city of Eindhoven wants to create habitable homes made thanks to the 3D printing technology. This is the project of the construction company Van Wijnen. Rudy van Gurp, a manager at the firm, said that the goal was to create an eco-friendly environment by reducing the amount of cement used for house construction. They are working on this Project Milestone with the Eindhoven University of Technology. The Estonia’s University of Tartu and the Estonian University of Life Sciences are working together on a new kind of 3D printing concrete material to create energy-efficient homes. This new material is made with milled peat, oil shale ash, and silica nanoparticles and could allow to reduce by ten times the price of a house. It is a strong and non-combustible material, great to build such big structures, and it also possesses a thermal conductivity. We hope that the team will soon be able to 3D print a full house as this material could be really interesting for the construction industry! New Story and ICON technologies worked on the project of a 3D printed home manufactured in just one day for 4,000$. New Story is a housing nonprofit company, who worked on reconstructing homes in Haïti, El Salvador, after an earthquake in 2010. The goal of these two companies is to create safe housing for people living in extreme poverty. ICON created a massive 3D printer called Vulcan. This Vulcan printer manufactured a 650 square feet house using a concrete material. 3D printing is starting to help the people by creating new affordable houses. It begins to be possible to live in real 3D printed concrete houses. It could even become a viable solution for the housing crisis in some countries. The additive manufacturing technology is also helping to build new eco-friendly solutions, using great new materials. Would you be ready to live in a 3D printed home? If you are starting to think about developing your architecture project, check out our blogpost about the best 3D modeling software for architecture. And if your project is ready, we advise you to upload your 3D files on our 3D printing service! For more news about 3D-printed houses, don’t forget to subscribe to our newsletter to get all the latest information about 3D printed homes.